CLEVELAND, Ohio – Hunters and anglers in Ohio will likely have to pay a little more next year in fees for permits and licenses. GOP Gov. Mike DeWine said Friday during his budget unveiling that fees would increase in the next fiscal year at the request of several sportsman groups. Jason Fallon, spokesman for the Department of Natural Resources, said the increases are slated to bring in about $4 million each year. Cleveland.com is looking at various aspects of Gov. Mike DeWine’s budget. You can find all of our coverage here. Ohio requires licensing for both hunting and fishing. 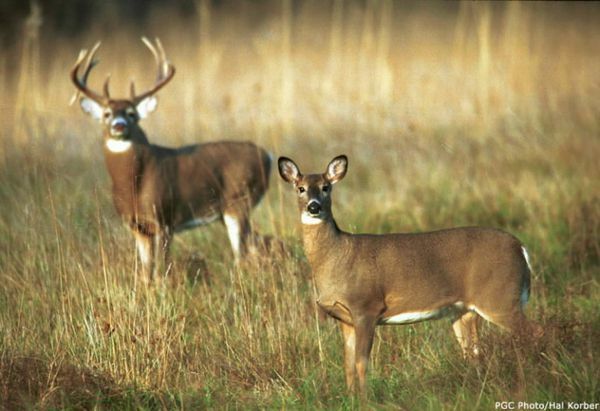 Permits are also required for hunting deer and turkey and fur trapping. The fee increases wouldn’t take effect until the budget is passed, but with support from outdoors groups, resistance will likely be minimal. DeWine also announced he would propose increasing funding for state parks by $43 million. Most of that money would go to improvements and upgrades, such as renovating cabins, trails and campgrounds. All of the sportsman people I've talked to are delighted with DeWine's remake of ODNR/DOW. Having someone who participates in the outdoors, knows the issues and people who really understand wildlife management will pay huge dividends for the state. I hate fee increases as much as anyone else, but what I hate even more is poor management of our fish and game population and closed ranges so fewer people have the opportunity to participate in the shooting sports. It costs money to have a good system. It will cost a whole lot more to let it continue to deteriorate. The DNR definitely has some infrastructure to fix. Hopefully the revenues collected don't get funneled off to other parts of the state government. And here's a plug from a (sometimes) proud Ohio resident: We have nice state parks, fishing and hunting areas, etc. Do your vacation and recreation here in the Buckeye., instead of other states and countries! I think the license fees can only be used by ODOW. Back in 2017 when the increase where first being pushed by SA, NWTF, BBBC etc they said there had been no increases since 2003. Cost increases along with a decline in license sales is making it twice as painful. PS Brian you are right, there is so much great land here in Ohio from Hocking down here to the lakes, to the Buckeye Trail. We have one of the most diverse state park systems anywhere. DOW funding has been a target for MANY Ohio Gov's! Never been pilfered/raided for general funds purposes! The state has guarded it's wildlife fund well for decades. Ohio is one of the few, proud states to claim it's wildlife policies and regulations are controlled by people with an education in Natural Resources, instead of Political Science. One GREAT reason to support the modest increase in license fees, to keep our DOW independent of the state house!